Additional powers and designs help patients stay satisfied with their lenses. Contact lens technologies are continually evolving. It is the responsibility of optometrists to update their patients. To keep patients happy year after year, one must optimize the ocular surface and maximize materials, modalities, and designs. Bausch + Lomb and CooperVision are two contact lens manufacturers with recently updated designs, materials, and parameters. There are two ways to approach this response. The easy path is to keep them in the same lenses and simply modify the prescription as needed so that you can move on to the next patient. The other option is to look at this visit as an opportunity to improve this patient’s quality of life by providing better vision or comfort. In our practice, we charge an annual “contact lens management fee.” By charging such a fee, we take on the responsibility of keeping our contact lens patients happy year after year. We do this by ensuring that their ocular surfaces are optimized and that we maximize the lens material, modality, and design that we prescribe for their vision correction. To make sure that a patient’s ocular surface is optimized, we assess him or her for signs and symptoms with a questionnaire, use vital dyes to look for staining, and inspect the patient’s lids, lashes, and meibomian glands. If any disease exists, we start treatment and bring the patient back in a few weeks to check for progress. In order to offer our patients the most appropriate contact lens material, modality, and design, it’s essential that we stay current with the latest innovations. Most patients, regardless of age, spend a considerable amount of time staring at a computer, tablet, or smartphone. We know that blink quantity and quality decline with electronic device use,1 and yet patients look to us to provide them with clear, comfortable vision despite these conditions. That’s no small task. Contact lenses are continually evolving. Just look at some of the recent offerings in this vision correction modality, such as Visioneering Technologies’ NaturalVue (etafilcon A) Sphere 1 Day contact lenses, which feature ComfortEdge Technology that helps promote effective tear exchange, designed to keep the lenses clean, clear, and comfortable throughout the day. Another recent offering is Alcon’s Air Optix plus HydraGlyde multifocal contact lens, which has broadened options for presbyopic patients. Let’s take a look at some recent offerings in expanded parameters that allow us to enhance our patient’s quality of life. For the purposes of this article I will concentrate on two companies that have released contact lenses with expanded parameters. 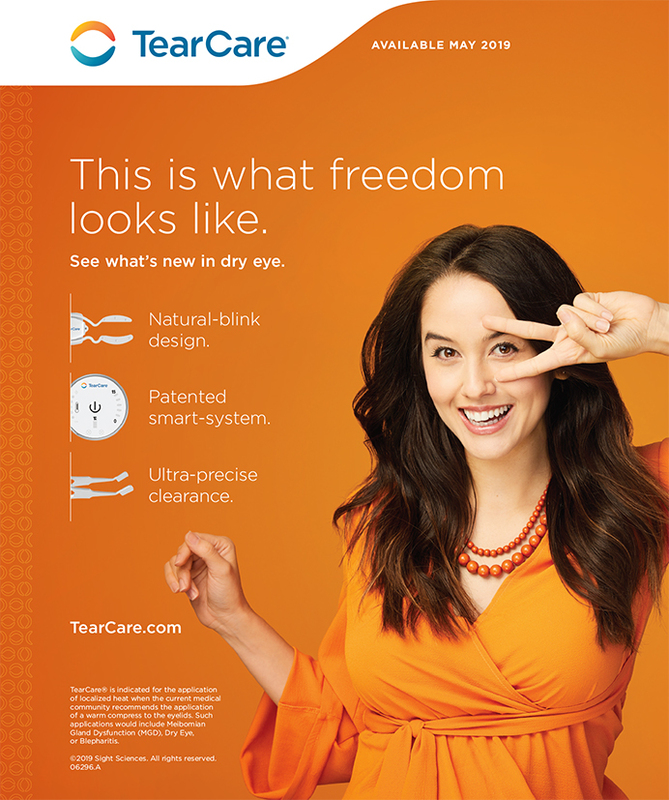 Last year, Bausch + Lomb announced expanded parameters for its Biotrue ONEday and Ultra monthly lens. Both of these lenses are now available as spheres, torics, and multifocals. The Ultra contact lenses utilize MoistureSeal technology (Bausch + Lomb). Silicone monomers combine to form a flexible silicone matrix, which gives the lenses high oxygen transmission and a low modulus. The building blocks of PVP grow around and throughout the silicone backbone, yielding a high water content that results in good surface wettability and moisture retention throughout the day. Biotrue ONEday for Astigmatism (Bausch + Lomb) and Ultra for Astigmatism (Bausch + Lomb) both use a periballast design to maintain rotational stability, and their thin, tapered edge designs minimize lid interaction. These lenses also have spherical aberration control in both axes to improve vision quality. With a broad range of parameters, the recent expansion of the daily disposable model extends its power range from +4.00 D to -9.00 D, with three cylinder powers of -0.75 D, -1.25 D, and -1.75, and additional parameters with -2.25 D cylinder. The monthly toric is now available in sphere powers from +6.00 D to -9.00 D, with cylinder corrections of -0.75 D, -1.25 D, -1.75 D, -2.25 D, and -2.75 D, with axes from 10° to 180° in 10° steps. For presbyopes, the daily and monthly lenses both use a three-zone progressive design, which can provide patients with clear vision at all distances. Both lenses are available in low and high add powers. The daily lens comes in powers from +6.00 D to -9.00 D, and the monthly lens in powers from +6.00 D to -10.00 D. Data from Bausch + Lomb show that 96% of patients are successfully fit in the Ultra for Presbyopia style in two visits with use of the fitting guide. CooperVision last year introduced new parameters for its monthly Biofinity Energys and daily disposable MyDay families of lenses. The lens material, Biofinity Aquaform Technology (CooperVision), uses long silicone chains to keep the silicone content low. This results in a low modulus but high oxygen transmissibility. The MyDay daily disposable lens features SmartSilicone Technology (CooperVision). This third-generation material transports oxygen so efficiently that it requires only 4.4% silicone, making it a more hydrophilic material, increasing wettability and patient comfort. MyDay also offers UV-A and UV-B filters for added protection. MyDay lenses are available in sphere and toric powers. The sphere is available in +8.00 D to -12.00 D. The MyDay toric lens features the same design as the Biofinity toric, with Optimized Toric Lens Geometry (CooperVision). This lens is available in sphere powers up to -10.00 D and cylinder powers up to -2.25 D.
Even when your contact lens patients tell you everything is “fine,” embrace the opportunity to do better. Stay up to date with new innovations and remember: The only constant is change. 1. Argilés M, Cardona G, Pérez-Cabré E, Rodríguez M. Blink rate and incomplete blinks in six different controlled hard-copy and electronic reading conditions. Invest Ophthalmol Vis Sci. 2015;56(11):6679-6685. 2. Data on file. Bausch + Lomb.